We are dedicated to providing you and your family with compassionate and skilled home care. Our staff provides Home Health care for those who need a hand during the healing process in your own home, and our Hospice staff and volunteers will guide and care for you or your family members in your time of need. We love the community we work in and are honored to be able to give back to it by providing the care you need when you need it the most. 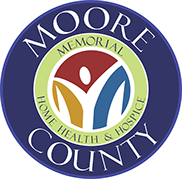 We serve patients in Moore, Sherman, Dallam, Hartley, and now Hutchinson counties.